Welcome to Kazzy & Meii's signature shop! We do signature adopts and custom signatures. All information will be right below so head on in! Apparel and skins/accents cost extra, and the more complicated your dragon is, the higher the price. Prices are based on how much time and effort it will take us to finish the signature. To give you an idea, a dragon with more than four apparel and a detailed accent/skin will be around $12-$15. We are only doing three slots each at a time, so if it's full, please ask to be put on the waiting list so we know you want to order. Feel free to ask for a price estimate if you are on a budget or just want to know how much your order(s) might cost. Limit of two orders per person at a time! Please ping me (@Kazzy) for a custom slot or @Meii for a regular slot. Once you've been pinged to order, fill out the order form below and after we have discussed the price, pay in advance and then we can start on it as soon as we can. Note: If you've been pinged for an available slot and you don't respond within three days of your ping date with your order info and payment, your spot will be given to someone else in the waiting list. Stop by my chibi Adopt Shop! @Kazzy	These are adorable. I'm interested in a custom slot. 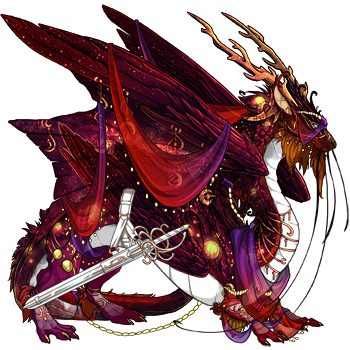 I'd like this imperial [url=http://flightrising.com/main.php?dragon=3767383] [img]http://flightrising.com/rendern/350/37674/3767383_350.png[/img] [/url] and would like to pay in treasure. Thank you! and would like to pay in treasure. Thank you! Hello! Gosh thank you for your interest! Please send payment as soon as you can and then I'll start on your sig. Did you want anything specific to be done in particular or will you just leave it up to me? @Kazzy Sent. :) As for the signature, I trust your artistic judgement! It would be nice if you somehow incorporate Arcane into there, but whatever works! Thank you. @Kazzy Hai friend! Here's Arin: [url=http://flightrising.com/main.php?dragon=12840436] [img]http://flightrising.com/rendern/350/128405/12840436_350.png[/img] [/url] I'd be interested in a custom slot, please :) Maybe have him holding a sign that says "HEY I'M GRUMP" with a mischievous look on his face? Otherwise, have fun with pose/ideas. I'd be interested in a custom slot, please :) Maybe have him holding a sign that says "HEY I'M GRUMP" with a mischievous look on his face? Otherwise, have fun with pose/ideas. Awesome, sending gems now :) thanks so much!